To provide medical help to needy and public, trust organizes medical camps, distributing free medicines and helping the poorr people for expensive tests. 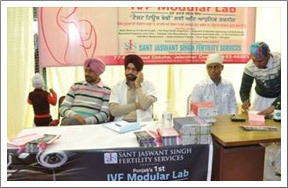 Free Medical aid provides by trust to the needy and poor people. 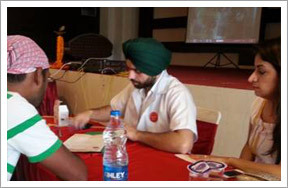 Mr. Manjit Singh free Laboratory Test by the trust from the lab inside Sant Jaswant Singh Hospital , Jalandhar.